This year has seen a bevy of great movies hit theaters and streaming services, but even with entertainment this good, there are bound to be some duds mixed in here and there. While 2018 featured plenty of Marvel and Disney successes -- and the inexplicable popularity of one Spider-Man villain -- there were also some pretty spectacular failures. The rise of guaranteed sequel success and big-budget blockbusters has not eliminated the box-office bomb from the cultural lexicon just yet. And there were quite a few of them in 2018. From post-apocalyptic cities on wheels to musical documentaries to hurricane heists, these are the biggest box-office flops of the year. Why it bombed: Did anyone… know about this? Did we know Jason Mraz had a musical documentary out in wide release this year? At the risk of outing ourselves as not quite the Jason Mraz superfans you might think we are, we had never heard of this movie until we started looking at this year's box office list. It was a Fathom Event, so that probably explains why it didn't make a ton of money (Fathom Events are usually in theaters for a couple nights only), but it also honestly looks like a 30 Rock joke come to life. Good for all those Jason Mraz fans out there, though. Why it bombed: London Fields was pretty much a disaster from start to finish. Not only is it one of the worst-reviewed movies of the year, with a 0% "fresh" rating on Rotten Tomatoes, it's also a near-record-worst flop for a wide release. It's the Tulip Fever of 2018. Add to that a troubled production history, a bunch of lawsuits, Johnny Depp in an apparently uncredited role, and two different versions opening in theaters, and we have ourselves a real banger of an unseeable movie. 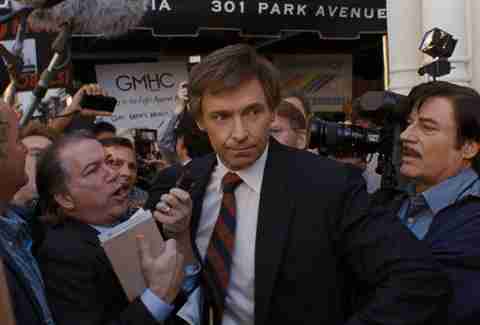 Why it bombed: The Front Runner is neither exceptionally good, nor exceptionally bad, instead finding a little home for itself right in the middle, which isn't exactly going to make political history enthusiasts flock to the theater. It's also about a decades-old scandal in American politics, and, given how weird American politics have gotten, Gary Hart's affair just looks like small potatoes. 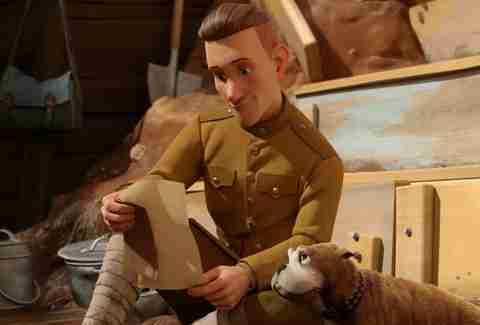 Why it bombed: A cutesy low-budget animated kids' movie about a dog that not only survived World War I's Western Front, but became a decorated American army veteran in the process does not sound like money-making material. Maybe if he had gotten the Spielbergian War Horse treatment, Stubby would have made his way into the hearts of today's moviegoing children, but, look, any animated movie that's not a Disney-Pixar joint or otherwise exceptional is going to get passed over. Stubby was really, really cute, though. Why it bombed: Life Itself puts all of This Is Us creator Dan Fogelman's bad instincts on full display. The man can't seem to tell an emotional story without torturing his own characters with tragic, traumatic deaths -- either their own or their mother's, father's, dog's, etc. On paper, the idea sounds fine: A bunch of families are connected by a time-twisting story that flows across generations and international boundaries. But the reality is that there is a line in this movie, spoken seriously, that is, "The ultimate unreliable narrator is life itself," and it doesn't get any better from there. Why it bombed: The thing about Gringo is that it's honestly pretty fine. It's a darkly funny comedy about a hapless everyman who gets mistaken for a drug mule and is then framed into being one by the company he works for, and Oyelowo in the starring role is genuinely hilarious. There’s nothing offensive about it, but there was really nothing much to draw audiences at all, the marketing felt mostly like an afterthought, and the lack of glowing reviews made this one OK to skip. 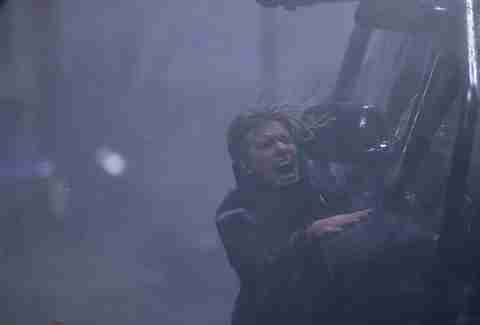 Why it bombed: If The Hurricane Heist had been a good movie, it would have been a great movie. The "from the director of The Fast and the Furious" tag on the poster seemed to promise as much, but unfortunately the movie didn't live up enough to its truly inspired concept. A heist? During a hurricane? Why hasn't this been done before? The possibilities were too rich for an execution this uninspired. Why it bombed: Heard of A.X.L.? You've probably seen a poster or two strung up at your local movie theater, but do you know what it's about? Something about a young boy and a robot dog? The concept may sound intriguing, but you didn't miss much, as most critics called the movie pretty forgettable, or called it Chappie Dog. And opening the weekend after Crazy Rich Asians took over the summer? Not a chance. 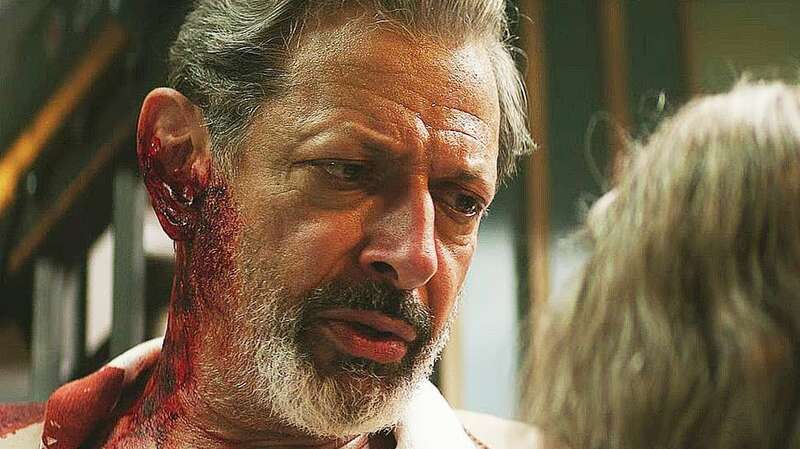 Why it bombed: Hotel Artemis is a genuinely cool movie, albeit one that suffered from the same weird, lackluster advertising and badly timed release as many of the others on this list. The movie, which takes place inside a hotel in the middle of a future downtown Los Angeles torn apart by street riots -- a hotel that doubles as a criminal safe zone for assassins, gangsters, any nefarious individual who needs a place to shack up for a few nights -- involves a lot more intricate worldbuilding than could be exhibited in the trailers. Not many wanted to take a chance on it, but those who did were handsomely rewarded. 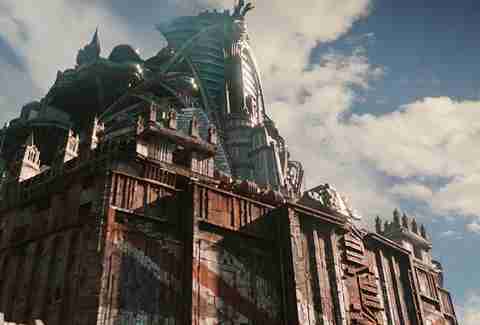 Why it bombed: Mortal Engines is one of the more spectacular failures of 2018, banking on the appeal of heightened visual effects and an obscure early 2000s book series, but not even the power of steampunk could make this movie a holiday season must-see. It doesn't quite deserve this treatment: The action is pretty exciting and the story, once you understand what's going on, is more or less straightforward, but it's also loud, strange, and full of unknowns, a death knell for something opening opposite one of the most famous superheroes of all time.